On September 23, 2014 a jury convicted Ceasar James Williams of Second Degree Murder, Aggravated Battery and Aggravated Criminal Damage to Property. 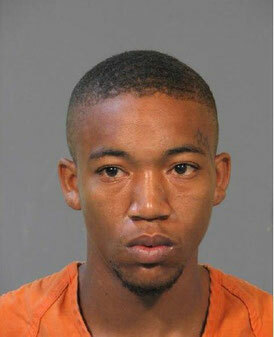 Williams was convicted of killing Cory Demond Thomas on May 31, 2011 on Brick Street in Lake Charles. He shot Thomas multiple times, with bullets striking the wall of the surrounding apartment complex. One bullet also struck a bystander inside an apartment. Judge G. Michael Canaday set sentencing for October 10, 2014 at 9 a.m. Sergeant Franklin Fondel served as the lead detective in the case for the Lake Charles Police Department. Assistant District Attorney Tara Hawkins prosecuted the case for the Calcasieu Parish District Attorney’s Office with the help of Assistant District Attorney Lori Nunn.